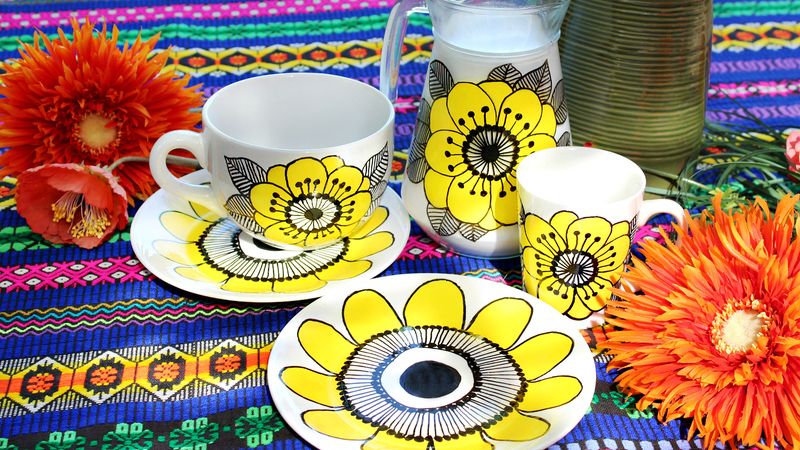 I've been inspired by the Target commercials for the new line of modern Marimekko products they launch on April 17th! 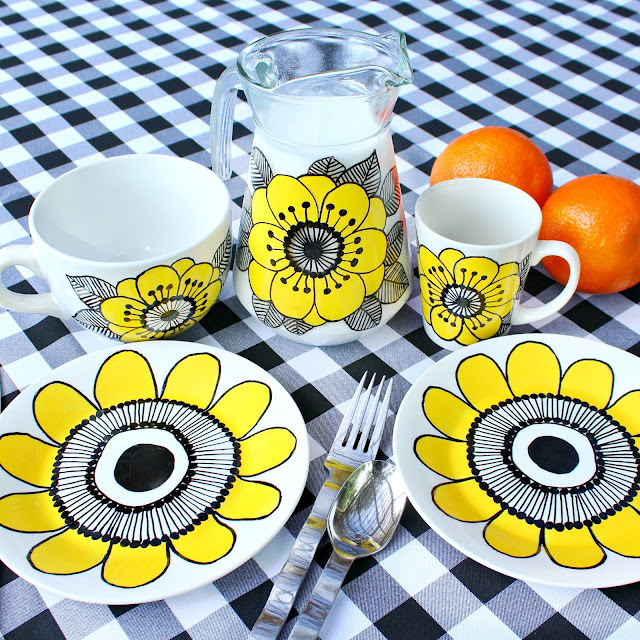 Though I have to say, I'm more a fan of the colorful, vintage Marimekko patterns.....So, instead of hunting down a full set, one piece at a time, at thrift stores and on EBay, I decided to paint my own set on some mismatched dollar store dishes. Americana Gloss Enamels is the perfect paint for this because after curing and baking, they are dishwasher safe! Still, because I spent so much time on them, I always wash them by hand. It's my thing and I'm a bit freaky about the stuff I make. Google "vintage Marimekko" for some amazing inspiration! Oh, remember to have fun, make messes and Make Your Mark, OK! The pitcher is beautiful! 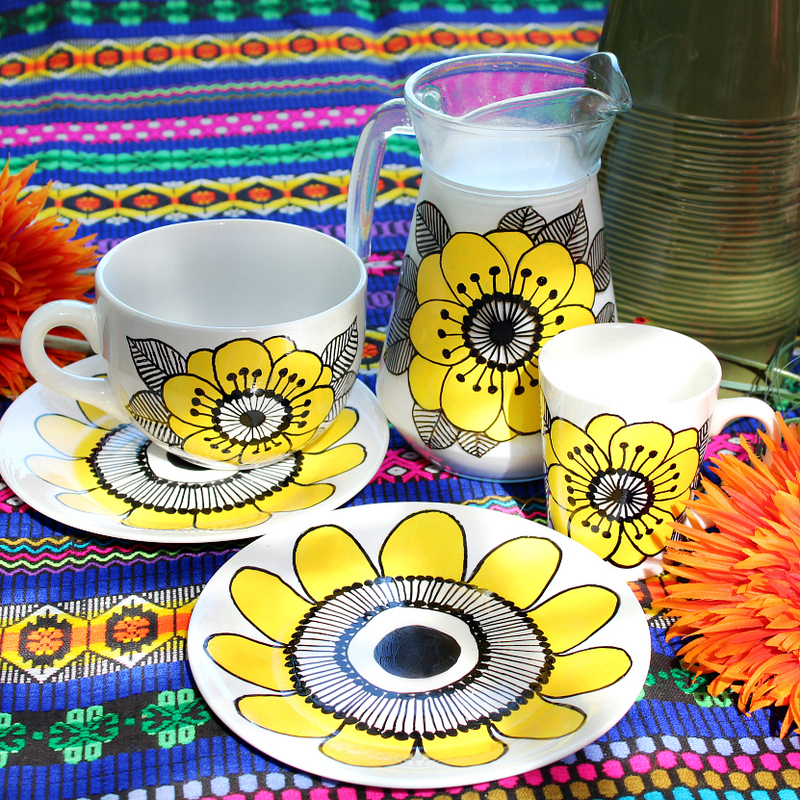 Everything is so bright and cheery, a perfect pop of color for dull mornings. Thanks Beth! It was like an adult coloring book, but with a Marimekko print. Glad you like it Prisilla! These are amazing!! So beautiful and so meticulously painted. You're very talented! I can't find info to learn if this paint is food safe. 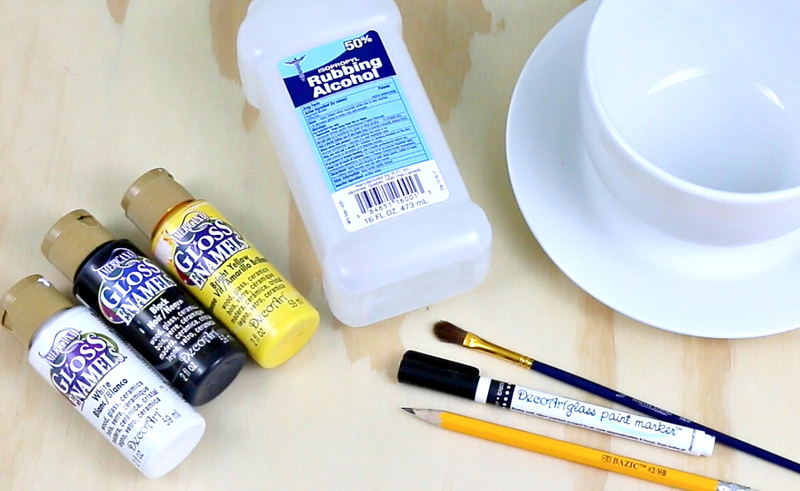 I'm sure it's fine for the outside of cups and pitchers, but I'm wondering about painting on the eating surface of a plate, and then using anything acidic in particular. Great for projects like saucers, pitchers and cups. Use the plates for things like cookies and toast. Since the paint is latex based and some people have latex allergies, it is labeled not safe for food. 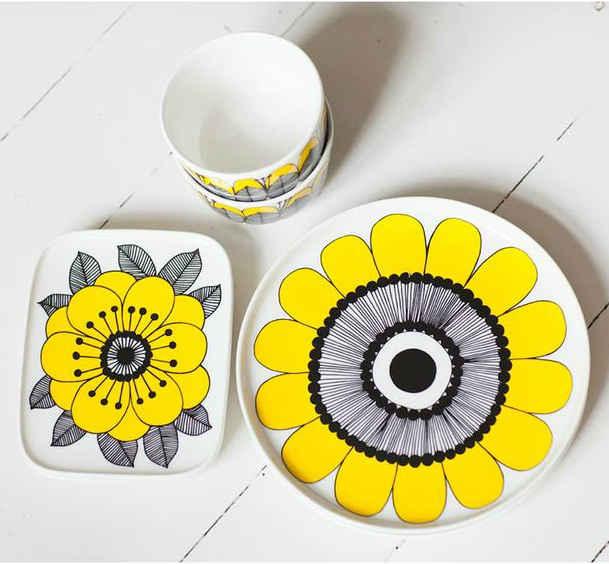 You could paint the underside of a clear glass plate or use a larger pattern as a charger. 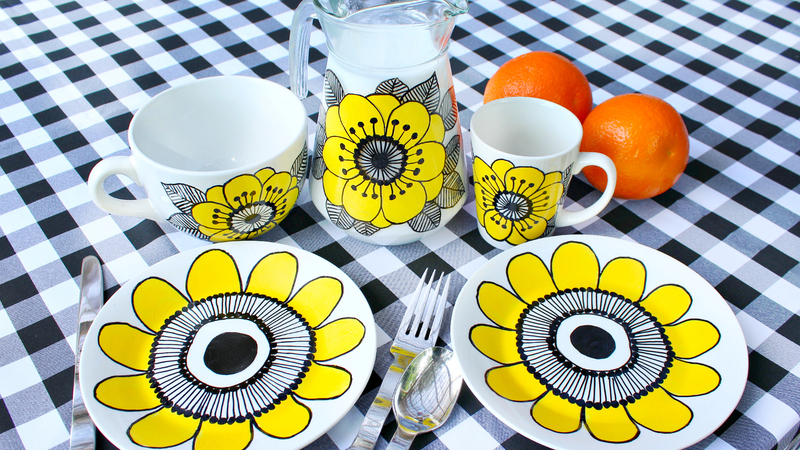 Wow love these pinning to my Marimekko board. I love all Marimekko crafts and even did a round up of the recently will definitely be adding this one to the list. Glad you like them Claire! Brilliant job, will definitely have to give this a go! I just discovered your blog,I didn't know you had one. I knew you were a designer. 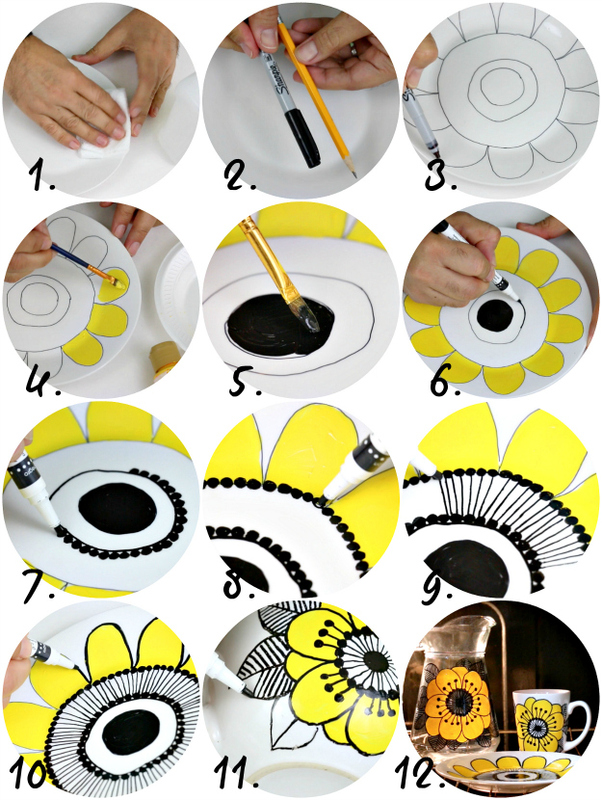 This plates look awesome,Im gonna try to make some. Thanks! A blog and a YouTube channel! https://www.youtube.com/channel/UCt4zycubX8BJZ8pZhZ4w8ow Glad you found me Sofie! Americana Gloss Enamels is the perfect paint for this because after curing and baking, they are dishwasher safe!